Today, New Zealand counts seven sheep for every person, but the proportion was 20/1 in 1983. Why mentioning such a trivial statistic? 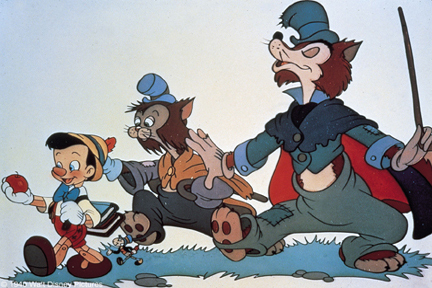 Because the populist guys – those who share the concerns of the man of the street – will explain the phenomenon telling us that some conspiracy lurks in the background, maybe some international corporation is stealing sheep in order to manipulate the oil price through the wool price, and the people must know where the sheep have gone. They have the right to know. OK, maybe I am not fair: some of these populist guys are probably smarter than this, or less practical, but this point will become clearer later on. On a daily basis, politicians claim to represent the people, their wishes and interests. They usually don’t share the concerns of the average citizens, but they received their votes, or in some cases they hope to do so. That’s why they have to build a strong link with their constituencies, to show that they are “like them”, one voice with them, part of the vox populi, or their loud hailer. Where have the sheep gone? We will tell you the truth of it, dear voters (wink), because we care, and we know that this represents an important matter for you (sympathetic face). It sounds like this, more or less. Sometimes, this process follows the opposite path: at the crossroad – before choosing a direction – the politicians ask the citizens’ opinion in order to legitimize ex-ante their decision. That’s why we have to fly, for a moment, from New Zealand to Italy. Recently the two most important political leaders of the country used the referendum as a powerful link between them and the citizens. The first one was Beppe Grillo, former comedian who now controls a relevant part of the Parliament with his one-man-show political creature, called Movimento Cinque Stelle (Five Star Movement). From November 2014 he decided to exploit the rampant distaste for the European currency (and Union) to collect signatures and thus propose a referendum to allow Italy to leave the eurozone and go back to the lira. Do you remeber the sheep story? No matter how complex the issue could be, the financial crisis evolving in economic crisis, the debt, the spread. We just know that the sweet old times were better. One day the Euro came – thanks to some obscure banker belonging to some Masonic lodge – and our economy collapsed. More than enough to make a step back, folks, believe me. The plan is easy: you just explain in six points why it’s better for everybody to go back to the old currency selecting as a source only the few economists that are not ashamed of arguing something illogical, you frame the situation as TINA (there is no alternative) et voilà, you introduce yourself as the champion of the common man. Oh, and don’t forget to tell your reasons to the BBC, and – above all – remind to shoot a funny short video providing a human face to the story, making sure it becomes viral on-line! Then it’s basically done. Ask to the people: do you want to be richer, go back to the prices of thirty years ago but maintaining your current income? Make a referendum and wait. Brilliant, why nobody had thought about it before? Matteo Renzi, the Italian Prime Minister, at the beginnig of February imagined that promising a referendum would have been enough to keep the people quiet. Via twitter, as usual, he pledged that Italians will have the last word on the Constitutional changes that his government is now working on, including the reform of the Senate. When? Nobody knows, and it is likely that everybody will forget this promise soon. But does it really matter if this referendum will be performed? Or the simple fact that the PM is young and able to use Twitter is already cool enough to bring some hope? The referendum on Constitutional modifications is not compulsory and would legitimize important decisions, but Renzi forgot to mention that it can take place only if the consensus in the Parliament doesn’t reach the two-thirds. Is he already sure that this consensus will not be reached? Remember the story of the sheep: it is already getting too complicated, and nobody really understand fractions, a tweet with a promise is more than enough for the moment. 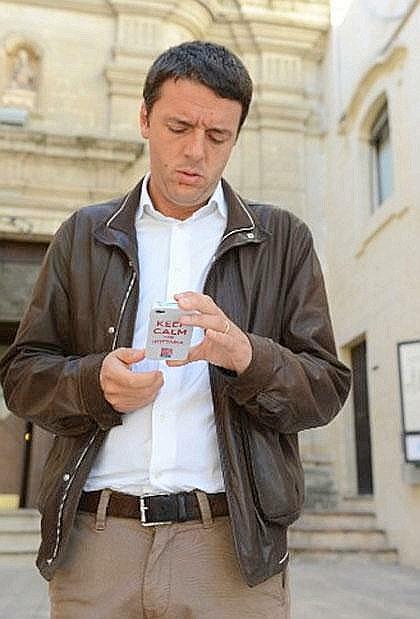 But someone, in the European political landscape, is even cooler than Matteo Renzi. Who? Let’s fly to Greece to find the answer. Yes, everybody knows about the newly elected government in Greece. Here we are not talking about referenda, but last elections looked like an opinion poll about the country’s policy towards austerity. The new media-darlings Alexis Tsipras and Yanis Varoufakis (Prime Minister and Minister of Finances) are like modern superheroes, or Robin Hood, taking from the rich to give to the poor. Everyone likes Robin Hood, and so do I. But suddenly it became more important to mention the way Varoufakis is dressed: without a tie, very informal, sporty. Is it possible, or at least realistic, for Greece not to pay back the debt as they promised during the electoral campaign? Boring. Why did they decide to form a government with a right-wing populist and nationalistic party (ANEL, Independent Greeks)? Is it just to form a strategic alliance in order to put an end to the austerity measures imposed by the so-called troika (ECB, EC, IMF)? How can you form this “unholy alliance” with Panos Kammenos, “a vocal champion of racist, homophobic, and anti-Semitic views”, who has “a penchant for conspiracy theories that verge on the absurd”? If you ask such a question you are the annoying talking cricket from Pinocchio. You should rather comment the way Varoufakis was dressed when he met Mario Draghi or George Osbourne. And why not spending a few minutes on the fact that a barman created a drink taking inspiration from him, or a video-game where he defies the troika as a superhero. Varoufakis is not a populist himself, but his image perfectly fits into the mass media logic of personalization and dramatization that the readers are supposed to appreciate. He recently made the parallel between today-Greece and Germany during the inter-war period, claiming that once again there are the favourable conditions for Nazism to rise. And clearly this is not an exaggeration, since in Greece Golden Dawn (openly neo-Nazi) gains more and more consensus (6.3% in January’s elections). More than seventy among Golden Dawn’s leaders and members – it is worth mentioning – have to face a trial for the murder of Pavlov Fyssas, anti-racist rapper, killed in 2013. Even though, it is apparently more relevant to show how Varoufakis already became an icon: what he says will always come after the kind of shirt he wears or the motorcycle he rides. He is viral and only this matters. Why? Because we don’t have to understand that the population in New Zealand is growing while sheep numbers have gradually declined, due to factors such as “depressed wool prices, droughts in the 1990s, and competition from other land-intensive farming activities”. So, the media does not only invite the politicians to become more populist, they even transform them into populists? first of all thanks for posting the first comment on this blog. About your question. I never said that the media invite the politicians to become more populist, I rather think that there are populist actors which are newsworty for the media system, and they have more chances to be reported by them if they insist on populist strategies and styles. About your second point: it could be that politicians use more populist strategies and styles to be “noted” by the media system, yes, this is complementary to the first point. But I do not think they get “transofrmed” into populists. About these issues I recommend this book, from prof. Frank Esser and Jesper Strömbäck (Mediatization of politics, Palgrave 2014). Ha, gotcha! Now we know your name! 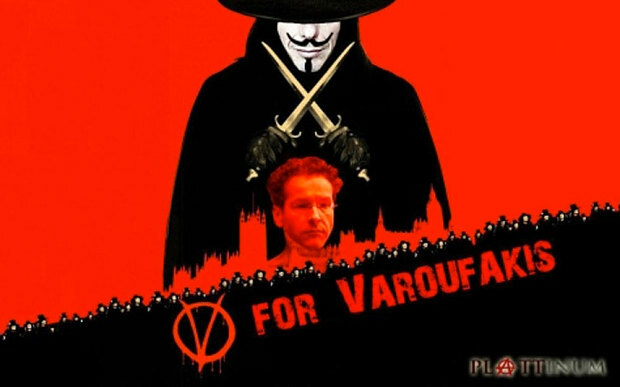 But to come back to the discussion: is Varoufakis only framed as populists are framed or is he responsible for the framing himself by acting as he does? I think Varoufakis is the perfect character for a story on the media: what he says, the way he says it, how he is dressed, his style…it is all newsworthy. Plus, he claims to be against the economic international elites and to represent the Greek people, which is true and populist at the same time. The overall effect is that the media treat a slightly populist politician in a very populist way. I also think Varoufakis is aware of the situation, and so far he didn’t do anything to change it. P.S. You ask interesting questions in an inappropriate way.